Before buying any property you should discuss this with an attorney or title company. 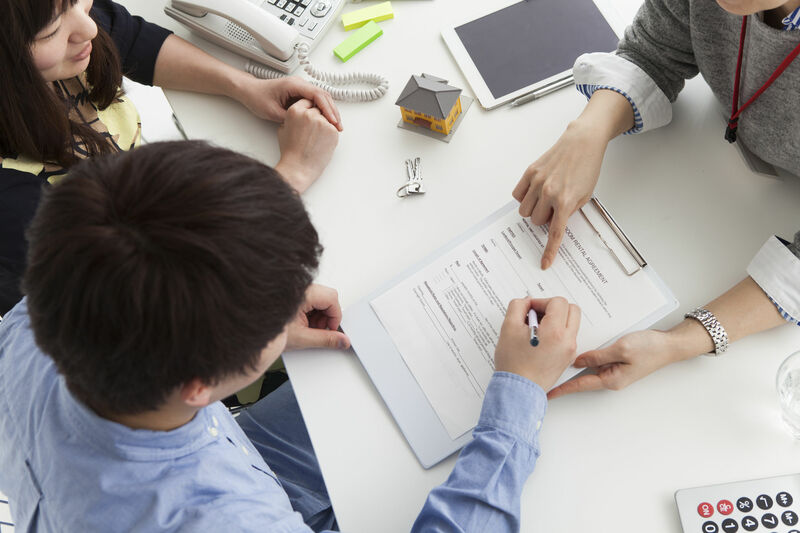 If you already own property, it might be a good idea to review your situation. Everyone’s situation is different, and there is no one correct answer. Don’t listen to the uninformed. However, I would recommend that you consider using a Trust. Talk to a professional. It could handle death, divorce, basis problems, probate costs, tax liabilities. Should You Do One From A Book Or Online Information? There are many stories in the big city, and a standard form might not be right for you. You will discover any problems when someone dies and then it is obviously too late. Spend a few dollars now to save several dollars in taxes, legal fees and probate costs. Enough said. BTW, it is my strong belief based on years of Real Estate that a Real Estate agent should not give Title advice. Unauthorized practice of law. Watch your mail. You will be getting invitations to a “free” dinner at an outstanding restaurant. They will explain trusts. Do You Want To Be Robbed? Good advice Duane. I further would emphasize that this is NOT a DIY type of document. Nor is it one that should be prepared by your divorce attorney, your defense attorney, etc.!! I have recently had a client who lost the sale of the home they had inherited (at an excellent price with no contingencies) because the attorney their Mom used to prepare the trust did not do it correctly and the property now has to pass through probate — an expensive and very lengthy process. Always tell them that phrase and I used to get a note back on big items. Missed seeing you around. What happened with “RM”? Still looking forward to our “MV Cruise”. Have to get my two partners to pick a time. We offer a 45 hour renewal in Santa Rosa from 1-4pm on May 9th a Thursday in Santa Rosa. If you would like to enroll, please give out office a call or visit us on the web at: http://www.duanegomer.com. Thank you Duane. I was just wondering if property can be part of an IRA. And if so would it apply to a condo? You can buy property with an IRA. Only rental property nothing personal; home, vacation home etc.